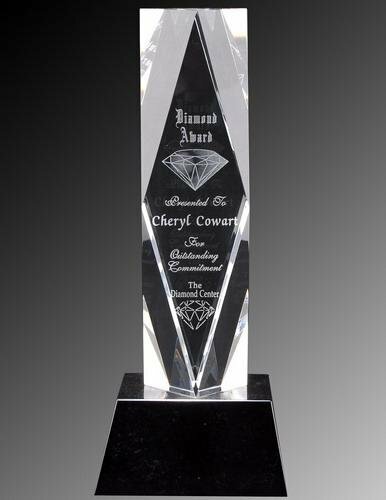 6.75" x 6" x 3/4"
Absolutely clear and flawless non-leaded optic crystal award. 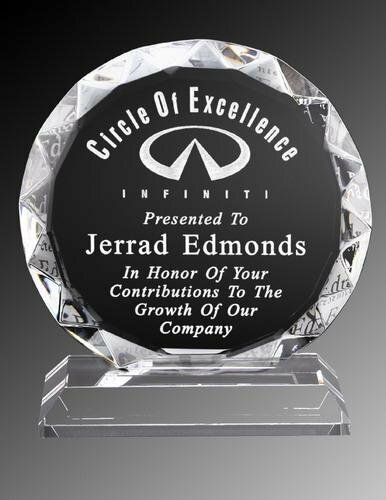 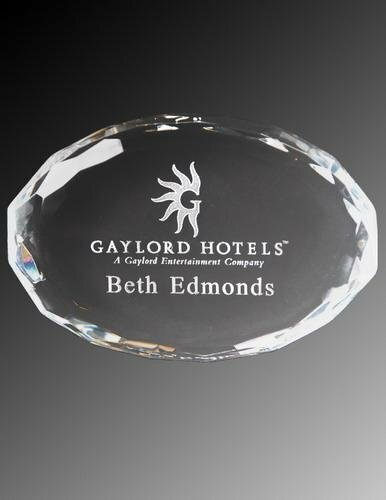 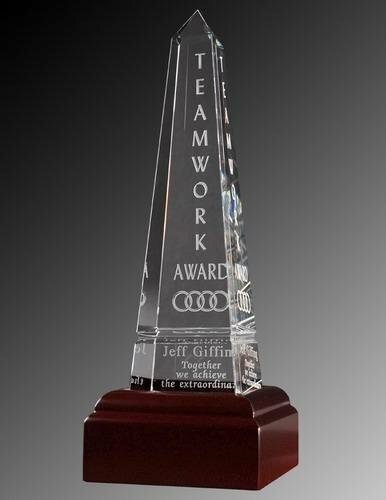 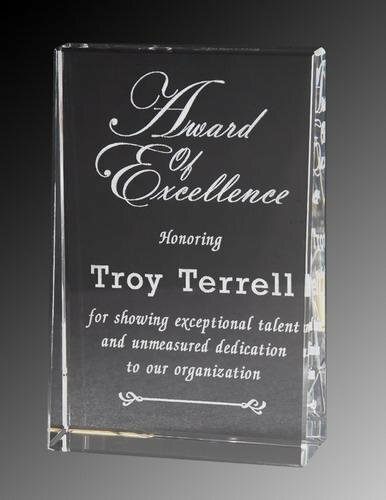 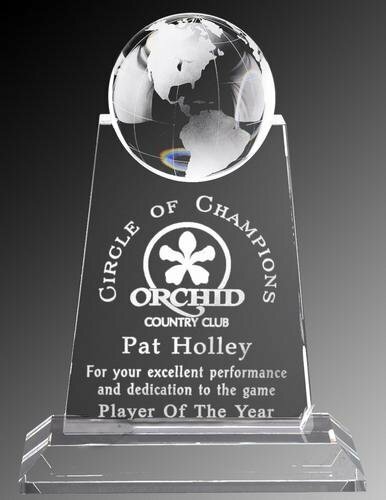 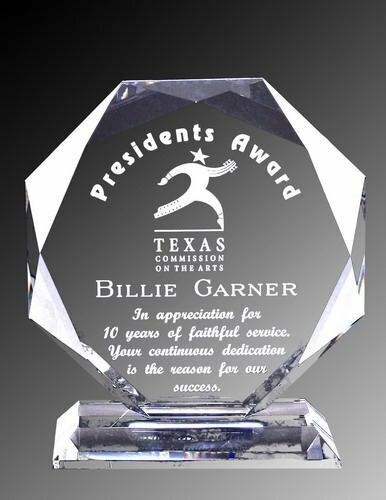 A very prestigious crystal award that is an excellent choice for recognizing outstanding achievement. 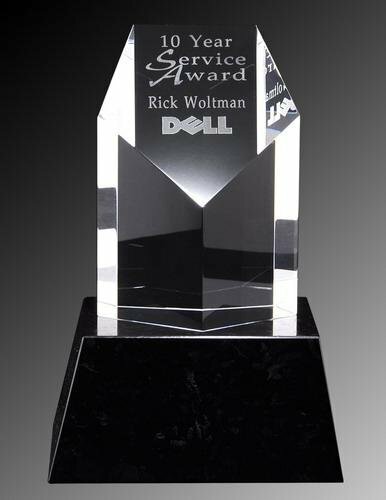 All of our crystal awards come packaged in beautiful velvet lined gift box. 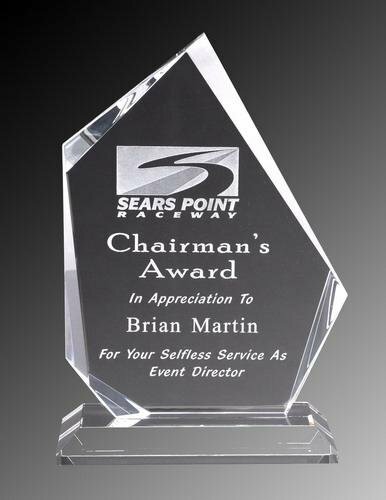 Shown with optional Black Marble Pedestal which can be selected after adding item to cart. 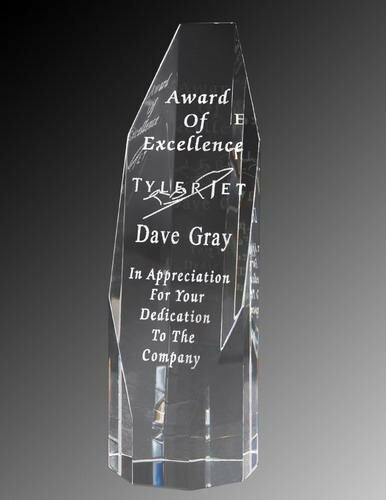 Note: Crystal Award does not fit in gift box with optional Black Marble Pedestal attached.